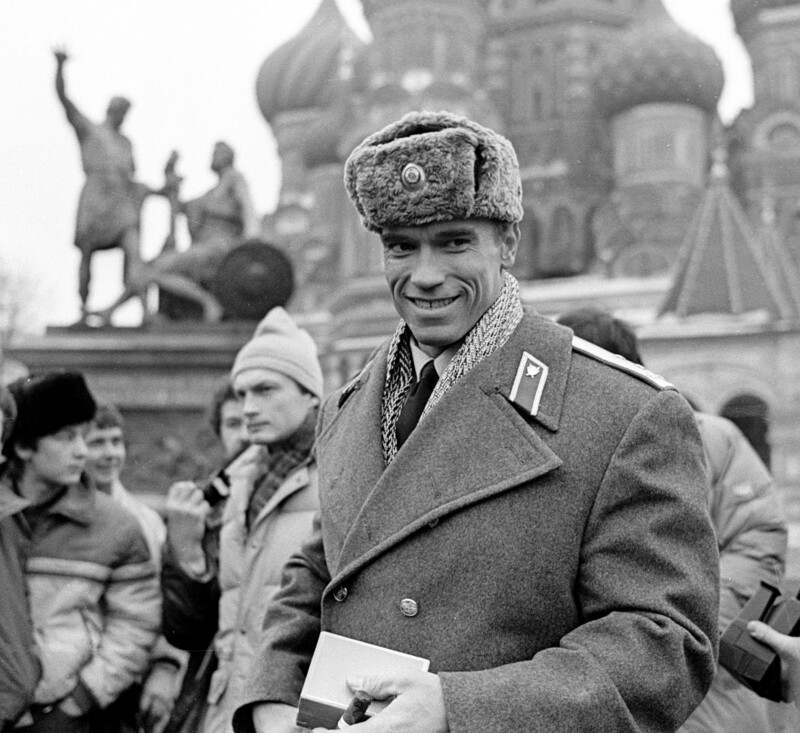 Arnold Schwarzenegger has visited Russia numerous times in various capacities over the past few decades. He has come as a tourist, as a movie star, an entrepreneur and a politician. What are the things that struck him the most during these trips, and how did he go from being afraid of Russia to actually loving it? Schwarzenegger confessed that he was amazed after rediscovering Russia and actually fell in love with the country during his visit in 1988. He came to Moscow at the height of Gorbachev’s Perestroika to play the role of Soviet police officer Ivan Danko in the movie Red Heat. Before this, his views on Russia and the Soviet Union had already undergone a “peculiar evolution” that was initially grounded in fear since his perception of Russia was formed during his childhood in post-war Austria. “My father fought in the ranks of the German army against Russia. He got wounded in Stalingrad ... When I was five, and we were moving to Vienna, we had to go through a Russian border-crossing checkpoint, because part of Austria was occupied by the Russians. It was very scary. There had always been a frightening image in your head, and you were afraid that they would throw you out of the car and send you to Russia…” (interview in Russian). He visited the USSR as a tourist as well, but everything changed only in 1988. 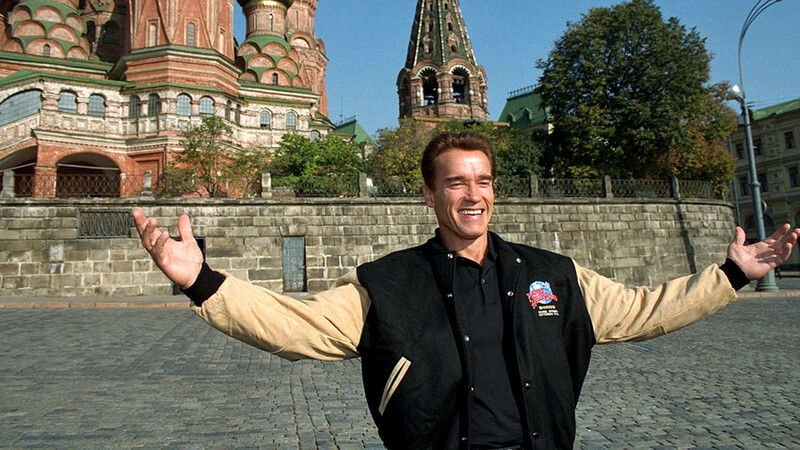 Moscow turned out to be “unforgettable” for Schwarzenegger. “It was the middle of winter. It was snowing and very beautiful. People on the set were very hardworking. It opened Russia up for me in a new light,” the actor said. Back in 1988, Schwarzenegger did not expect he would become so famous in the Soviet Union. Although Perestroika was already gaining momentum, the Cold War was still palpable. He would go on to tell American journalists that he had never imagined “the magnitude of his success” in the Soviet Union. Schwarzenegger must have been really surprised when it was proposed that he become the mayor of Moscow during a high profile visit to the city in 2010. Dmitry Medvedev, who was president at the time, approached him with the idea. The seat was vacant after the long-standing mayor Yury Luzhkov—the one had previously acted as Schwarzenegger’s Moscow tour guide—had reluctantly stepped down after being fired by Medvedev. “If you were a Russian citizen you could come and work for us,” Medvedev told Schwarzenegger during their meeting. They say Schwarzenegger responded with silence. The offer did not seem completely out of line since on that trip Schwarzenegger had come to Russia not as an actor or an entrepreneur, but as a politician. He was a governor of California at the time, but his term was coming to an end. In 2010, referring to the period when Red Heat was shot, he said that he never thought that he “would be back as governor.” However, when his term in California finished, he returned to Hollywood rather than Moscow. 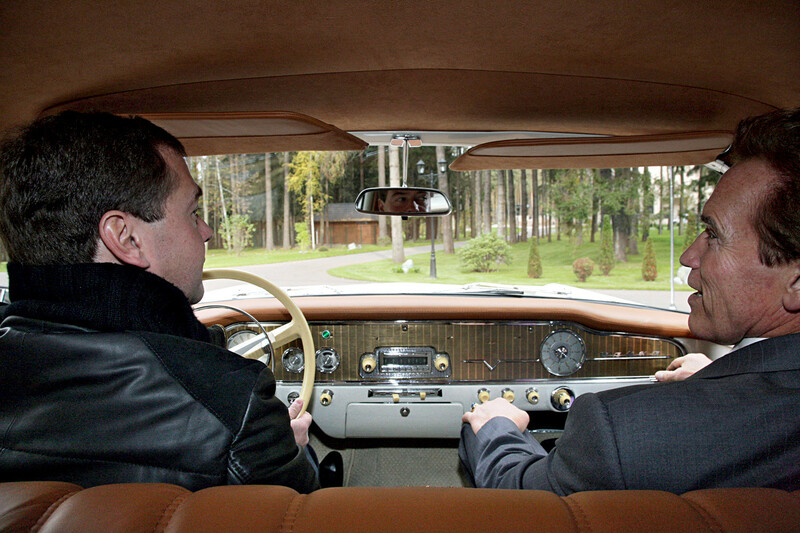 Medvedev used the Soviet limo to bring the actor-governor to Skolkovo, a business school that had been created on his orders after a trip to Silicon Valley earlier that same year. He wanted to show Schwarzenegger what was supposed to become a Russian version Silicon Valley. At Skolkovo, there was a meeting devoted to American–Russia cooperation in the tech sphere, but according to the media reports what interested Schwarzenegger most during his tour around the facilities was an artificial waterfall. The water fell in a way that created words and logos. “How did you do it?” Schwarzenegger asked. He was told that there was new and innovative technology that made it possible to regulate water streams. “But how did you do it?” the perplexed visitor (in Russian) kept asking as he struggled to grasp how it worked. Read here whom Schwarzenegger and Chan will play in first Sino-Russian blockbuster. Who will Schwarzenegger and Chan play in first Sino-Russian blockbuster?